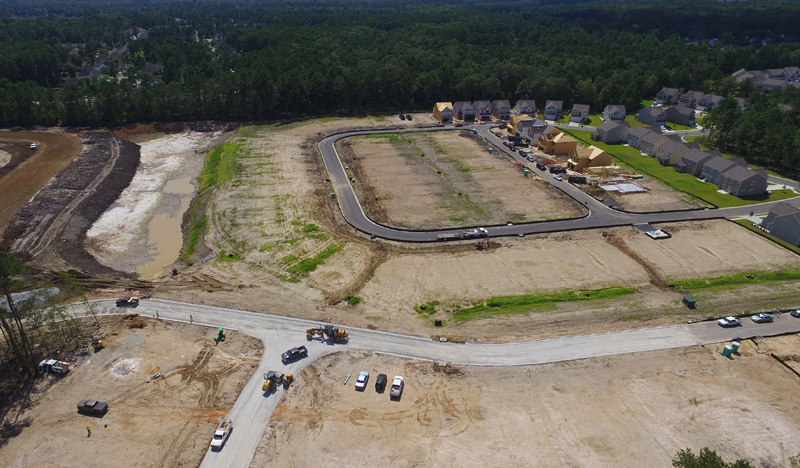 Coosaw Preserve is Lennar's newest community located in the Dorchester County side of Ladson, SC right off of Patriots Blvd. Nestled back in the trees this community resembles a country getaway with a beautiful entrance, lush trees, and ponds throughout the community. 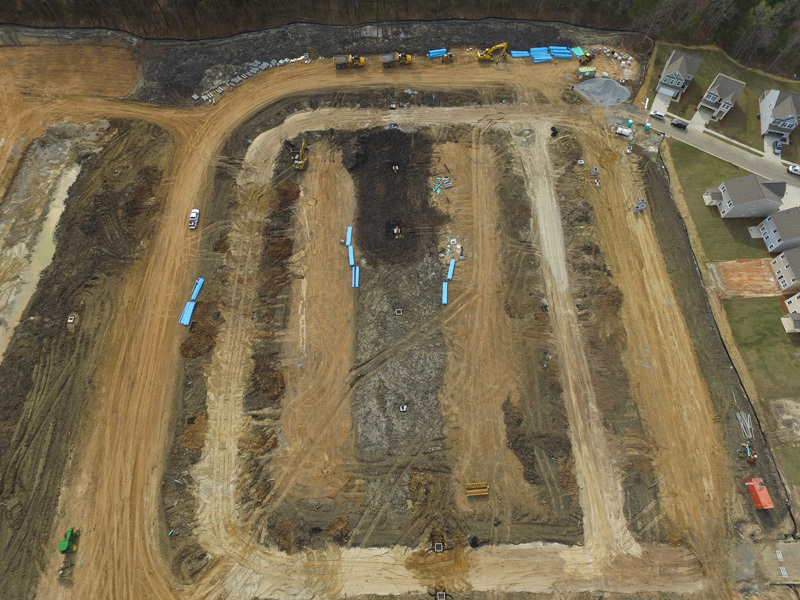 Blythe Development provided turnkey site work services including erosion control, demolition, mass grading, sanitary sewer, storm drainage, fine grading, site concrete and asphalt paving.